Why See San Diego Opera - Rigoletto? The rage of a father knows no bounds in Verdi's thrilling drama telling the story of a clown, a curse and its chilling effect. Electrifying and intense, prepare to be swept away by the San Diego Opera as they mount this beloved landmark of the repertoire once more. What is the story of Rigoletto? The ultimate tale of jealousy, vengeance and sacrifice, Rigoletto follows the misfortunes of its titular character. 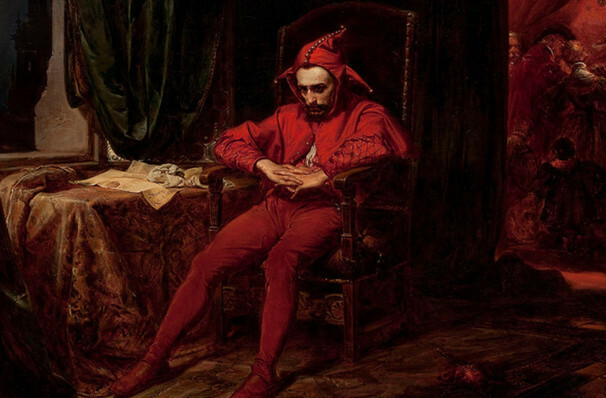 A clown in the court of the Duke of Mantua, he's extremely skilled at humiliating courtiers, much to the amusement of the Duke. Yet, when his sharp tongue goes too far and the lustful Duke seduces his daughter Gilda, a spiral of devastation threatens to consume them all, leading to a fiery and heart-stopping finale. Two hours and thirty minutes, including one intermission. Seen San Diego Opera - Rigoletto? Loved it? Hated it? Sound good to you? 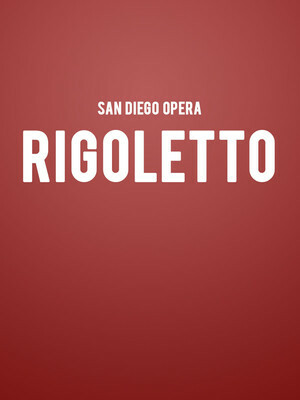 Share this page on social media and let your friends know about San Diego Opera - Rigoletto at San Diego Civic Theatre. Please note: The term San Diego Civic Theatre and/or San Diego Opera - Rigoletto as well as all associated graphics, logos, and/or other trademarks, tradenames or copyrights are the property of the San Diego Civic Theatre and/or San Diego Opera - Rigoletto and are used herein for factual descriptive purposes only. We are in no way associated with or authorized by the San Diego Civic Theatre and/or San Diego Opera - Rigoletto and neither that entity nor any of its affiliates have licensed or endorsed us to sell tickets, goods and or services in conjunction with their events.